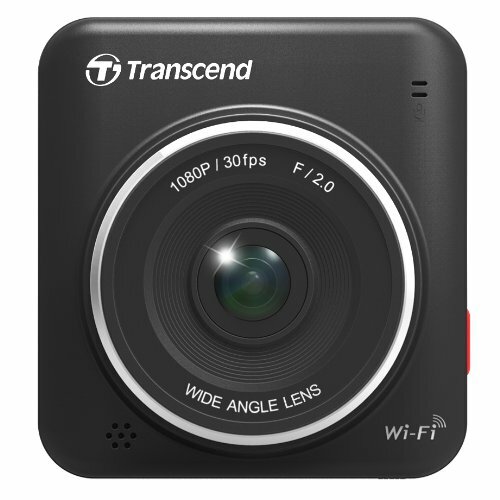 The Toguard Mini Full HD 1080p dash cam is a stand out amongst the current mainstream budget dash cams, and for good reason. Overall video quality isn't one of it's strengths, yet the Toguard has all the features you would need in a modern dash cam, and includes a free 16GB Micro SD card to sweeten the deal. Although it's only 2.5 inches wide, the Toguard Mini is very easy to use, with six sturdy buttons on the back and an easy to install suction mount. 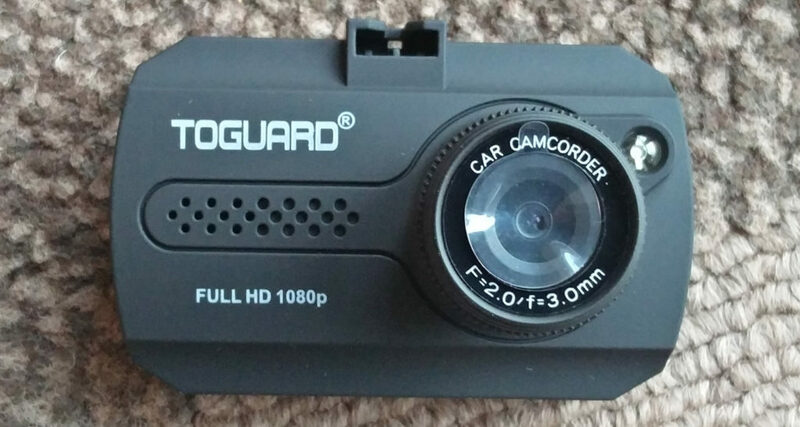 If you're looking for your first dash cam, or something to lower the ever increasing car insurance prices, this Toguard dash cam is a reliable choice. 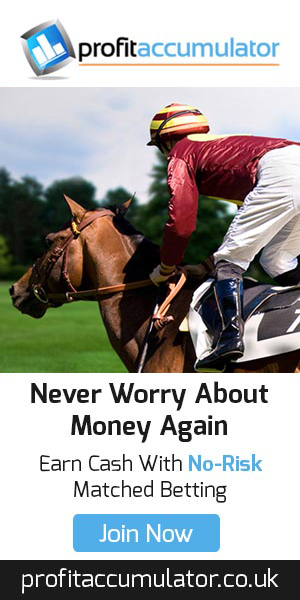 Your only concern may be the low quality video, but you're unlikely to find anything better at this price. 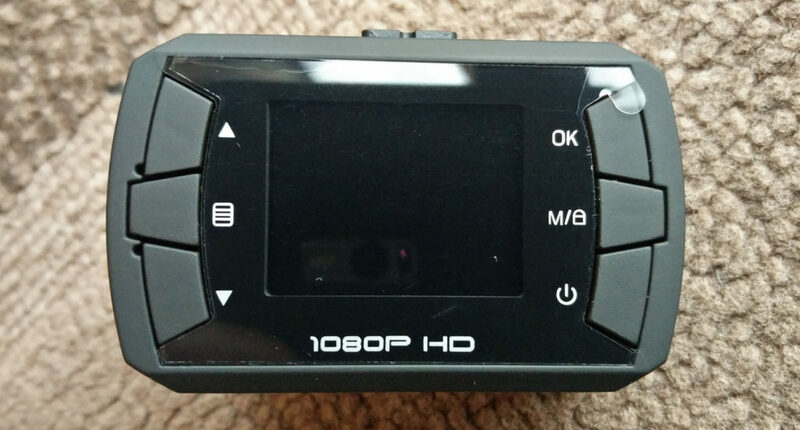 Full HD Recording - This dash cam can record at Full HD 1920 x 1080. 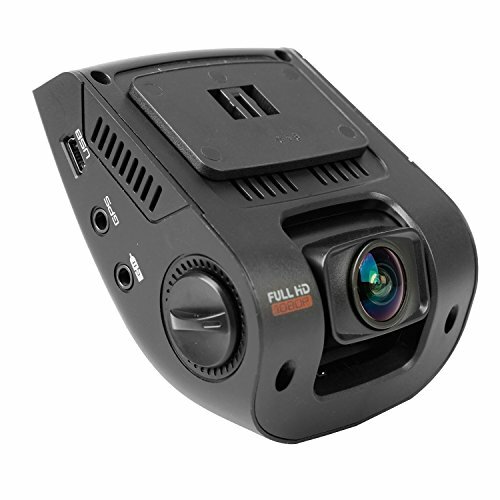 120 Degree Wide Angle Lens - The 120° wide angle lens covers plenty of the road, allowing the Toguard camera to provide a full picture in the event of an accident. Not only does this provide a clearer view of the surrounding area, but the footage can be used if a car hits you while drifting into your lane. 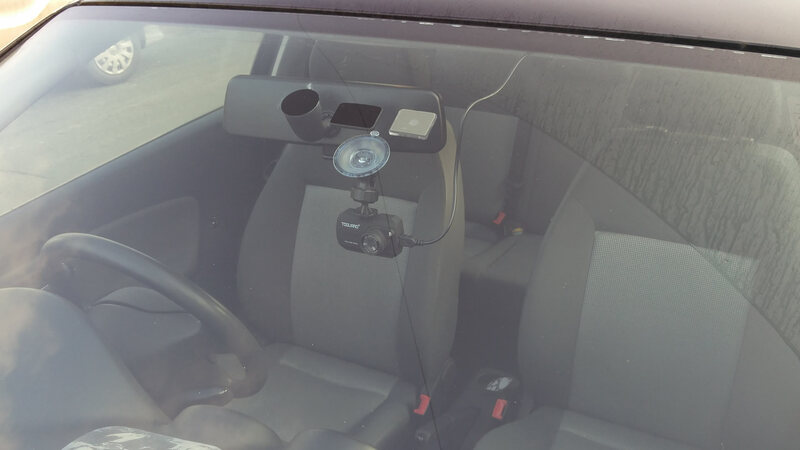 Suction Mount Included - The suction mount allows you to use the Toguard Mini Full HD in any vehicle as it can be set up and taken down with ease, and provides stable recordings. 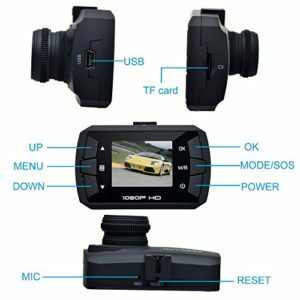 Loop Recording - This Toguard Dash Cam records in loops of 1, 3, or 5 minutes. There is an option to turn off loop recording, if you prefer to record one continuous video. When the microSD card fills up, the dash cam will begin overwriting the oldest footage that hasn't been protected. G-Sensor - The built-in accelerometer detects changes in gravittional forces and automatically enters Emergency Recording Mode, protecting the important footage from deletion. The three sensitivity settings are 2G, 4G and 8G (you can also turn the G-Sensor off). If driving over speed bumps and potholes causes footage to lock, you may need to reduce the G-Sensor sensitivity. Motion Detection - After turning this feature on, the Toguard Mini Dash Cam will automatically begin recording when motion is detected. This works best for short stops or when hardwired, as the internal battery won't last longer than an hour. Make sure this feature is turned off while driving. Free 16GB Micro SD Card - The Toguard Dashcam comes with a free 16GB Micro SD card installed in the device, to save you time and money. Most dash cams can't store footage without a microSD card. However, there is no need to purchase one with the Toguard Mini, as the manufacturer has supplied a free 16GB Micro SD card in the camera. Despite its small size, the Togaurd Mini has room for six buttons on the back, three at each side of the screen. These buttons are a great size, but this limits the width of the screen. The top and bottom left side buttons are labelled "up" and "down". These can be used to zoom in and out during recording and photo mode, and make navigating the menus very easy. The middle left button is used to enter the menus. Press this once to enter the video menu, and again to enter the setup menu. Another push of this button will take you back into recording mode. Pressing this button while in photo mode will enter the photo menu, and gives you the option to delete a video file while in the playback menu. The top right button is labelled "OK" and is used to start and stop recording in "Recording Mode". In "Photo Mode" pushing this button takes a picture, and its final use is to confirm a selection in any of the menus. The M/lock button will protect the current video loop while recording, and if recording is stopped, pressing this button switches between Photo Mode, Playback Mode and Recording Mode. The final button is the power button. When held, this will turn the Toguard On/Off, and a short press of the button turns on/off the light on the front of the camera. When this is on you will see a yellow sun and moon icon appear at the top of the screen. This doesn't produce any visible light, but is picked up on the camera at a very short distance. 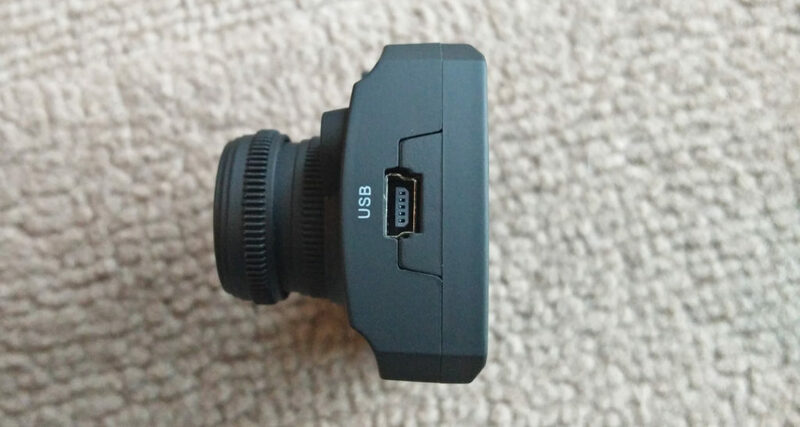 On one side of the Toguard Dash Cam you will find a USB slot. This is used to power the camera while driving, and can also be used to copy video files to your computer. On the opposite side is a slot for the Micro SD card. Simply push this in to insert and remove the card (don't do this while the camera is on). Finally there is a small reset button on the top, which can be used to restore the dash cam to default settings if there are any issues. The first thing you need to do is make sure the micro SD card is inserted into the dash cam. It is very important to insert the card before turning it on, to avoid damaging the card, or the camera. With the Toguard, the Micro SD card should already be inserted into the dash cam. To begin, slide the suction cup mount on top of the dash cam until it is fully in place. At this point you may want to peel off the lens cover, just in case you forget later. Now take the dash cam to your car, and try out a few positions to see which you prefer. It is important to check the laws where you live, to find out where you are allowed to place the dash cam. As long as the camera is on the passenger side, or behind the rear view mirror (and not obstructing any of the drivers vision) you should be fine. The Toguard Mini certainly lives up to its name, so obstruction shouldn't be a problem. When you are happy with the position, attach the suction mount to the windscreen by pushing it on and clicking the lever up, as shown in the slideshow below. This mount is very easy to take off by simply using the lever, so it is worth spending some time finding a good position. Once stuck on, simply twist the knob to adjust the angle of the camera. 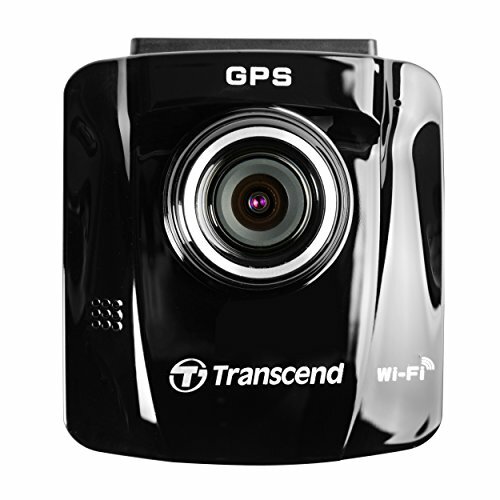 Begin with the suction cup mount, and the Toguard dash cam. Slide the mount on top of the dash cam. This should slide in with little effort. It doesn't matter which way you slide it in as the mount can be adjusted after. When you would like to attach the camera, press the suction mount to the windscreen and flick the lever up. This will create a suction, holding the camera in place. Make sure you've removed the plastic film first. 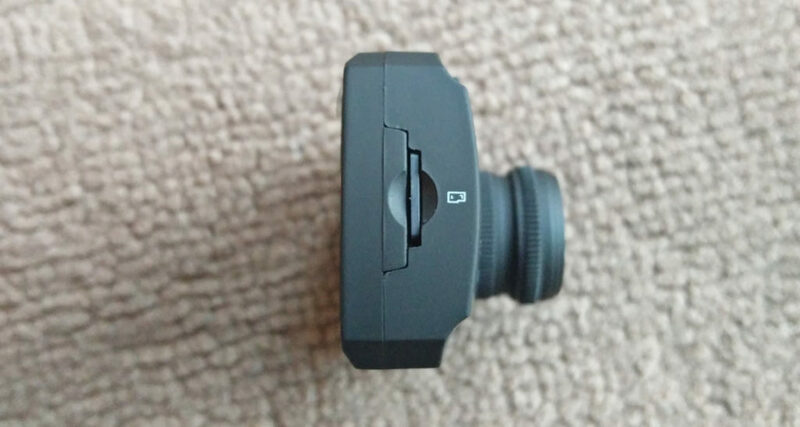 You can twist the knob on the mount to adjust the camera position. Tighten this once it's in place. The next step is to route the cables as shown in the slideshow below. In most cases you should route the cable on the passenger side, so any dangling or loose wires won't distract the driver. Your aim is to tuck away as much of the wire as you can. For a detailed guide on dash cam cable management, click here to read our Cable Management Guide. For most cars the power cable can easily be tucked between the headiner fabric and the windscreen, then down under the rubber on the side. It is worth noting, there may be an airbag underneath this panel, so you may want to take the wire down along the windscreen instead, using tape or cable mounting clips. You can then bring the wires across the footwell, tucking them under the floor mat to avoid tripping over, or use sellotape or mounting clips to stick the wire under the glove box. The next step will depend on how your vehicle delivers power to the cigarette lighter socket. Plug the 12V plug into this socket and check for a red light on the camera, indicating it is receiving power. If the dash cam isn't being powered, your car requires the engine to be on for the 12V socket to be active. If this is the case, switch on the ignition, and turn on the dash cam if it doesn't automatically power up. Now the camera has switched on, you should see a red circle appear at the top left, indicating the camera has automatically started recording. If this is not the case, press the OK button to begin recording. If you are having trouble recording, or if you receive any sort of warning, you can visit the Product Questions Page to find assistance. Important: With any first time set up, manufacturers recommend formatting the SD card (make sure to copy any important footage to your computer, as formatting will wipe all the current data). To do this, stop recording and press the middle left button twice to enter the setup menu. From here, you'll have to use the up and down buttons to navigate to the "Format" selection. Once this option highlighted, press "OK", select SD card, and finally select "OK" to confirm. Those who find it difficult to read small text may struggle navigating the menus due to the small screen size. If this isn't a problem, the menus are simple and intuitive, so we will only outline a few of the key features below. Resolution - Allows you to select which resolution you would like to use. 1080FHD 1920 x 1080 will provide the best quality. EV - Allows you to adjust the exposure compensation. Changing this setting will make the images brighter or dimmer. Motion Detection - While motion detection is turned on, the camera will automatically record when it senses movement. Make sure this feature is turned off while driving. Gsensor - Off / 2G/ 4G/ 8G- This accelerometer detects a change in gravity forces, and protects the important loops. If you find the footage is locked by potholes and speed bumps, consider reducing the sensitivity of the G-Sensor. Auto Power Off - Off / 1 min / 3 min - When the camera stops receiving power, you can let the camera automatically shut down after a short delay. Please note, the Off setting will cause the dash cam to immediately turn off when it stops receiving power, and doesn't turn off the auto power feature. To play back files on the Toguard Mini dash cam, you will first need to go into "Playback Mode" by pressing the M/lock button twice. From here you can use the up/down buttons to navigate through the videos, and press "OK" to play the highlighted one. Pushing the middle left button gives you the option to delete or protect the files. The poor footage is the main let down for the Togaurd dash cam, the recording quality isn't very good. These videos are set on the highest resolution setting at 24fps, yet the overall quality is quite blurry and the lack of frame rate results in choppy video. It is possible to pick up number plates at a close distance, but there is a lack of clarity and detail. In the dark the footage suffers greatly, and is unlikely to provide accurate evidence in the event of a collision. In well lit areas such as towns and cities there is a big improvement, but I wouldn't recommend the Toguard for driving on poorly lit roads. There is a "flashlight" feature on the dash cam but this doesn't produce any visible light. I turned this on during the night time test and it didn't make the slightest bit of difference, leading me to believe there must be an alternative use for this feature. You can turn this on by tapping the power button, just make sure not to accidentally turn the dash cam off. 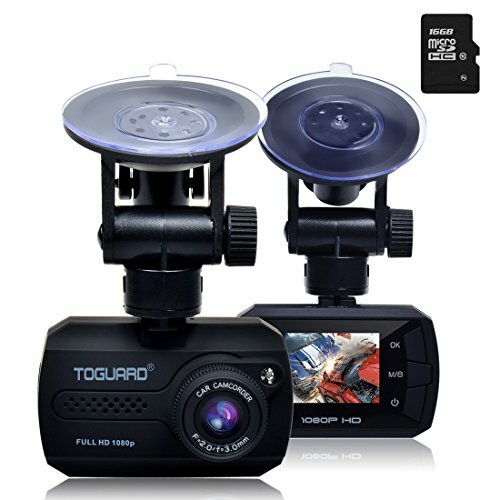 For a dash cam of this price you will struggle to find impressive video quality, and the Toguard certainly doesn't break the rule in this regard. All around footage is poor and choppy, but it is good enough to protect you on the road, and will provide sufficient evidence to prove an accident wasn't your fault. 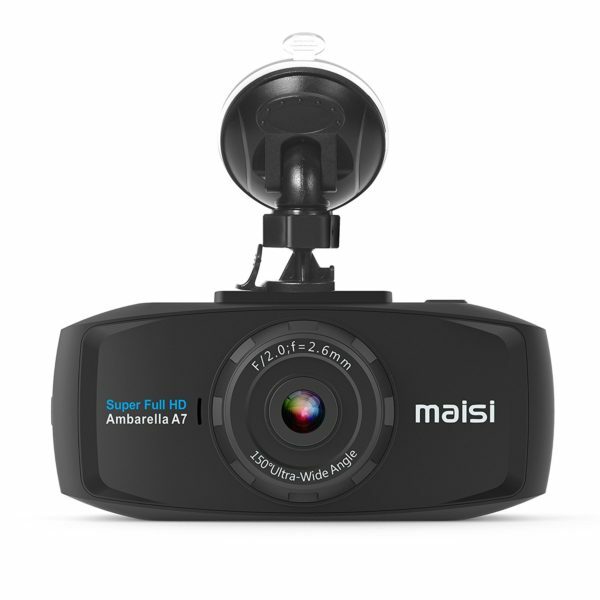 If most of your driving takes place during the night, you may want to increase your budget and try something like the Maisi Smart, the low light recording quality is far greater. The field of view of the Toguard camera is decent and should cover a few lanes of the motorway, but may still leave you exposed from the side. If you do a lot of motorway driving, the Maisi Ultra has an incredible viewing angle to cover you from the front-sides. Finally, the Toguard audio is poor and produces crackling sounds throughout, but this isn't very important for most users. On a positive note, the Toguard feels like a well made piece of kit, and has plenty of useful features. This model is particularly small (around 2.5 inches) so shouldn't obstruct your view and is easy to set up, especially with the free 16GB Micro SD card. Motion detection is very quick and accurate, but requires a constant power source if you're using the feature for a long time (the battery lasts around an hour with full charge). If you are using this feature without constant power remember to turn the dash cam on, as it will switch off as soon as the ignition switches off. The Toguard dash cam instructions are badly translated from Chinese, and aren't of great use if you're new to dash cams. However, you don't really need the Toguard manual as the dash cam is easy to set up and use. At this price it's hard to be critical of the camera, as the value for money is fantastic. It's the best dash cam for first time buyers, or those on a tight budget. 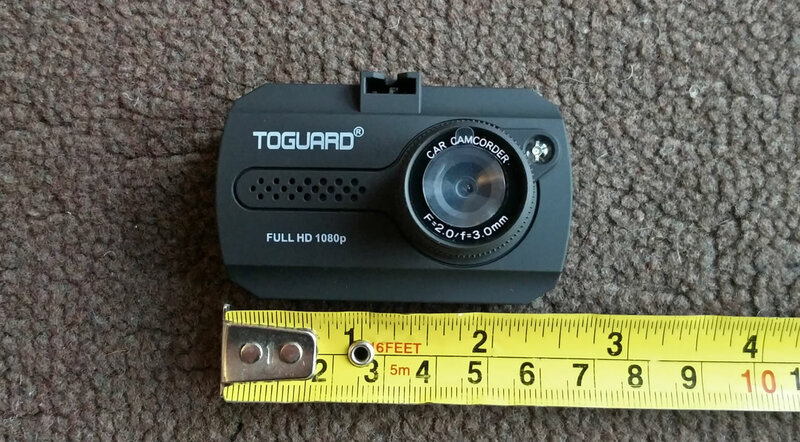 (4.4 / 5) (195 reviews) – The Toguard Mini is currently the most popular dash cam on Amazon, due to its great performance at a low price. While a handful of users complain about a faulty product, most users are very happy with their purchase. As long as the video files on the SD card haven’t been protected, old footage should be overwritten automatically. If not, the SD card may be filled with protected videos. As long as you’re OK with deleting all the footage, you can format the SD card in the menu. 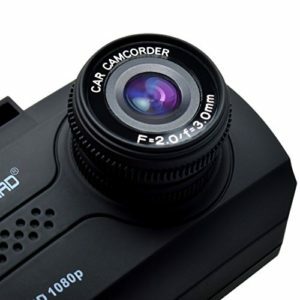 If there is something you want to save, connect the dash cam to your PC and copy over the important videos before formatting. As a final note, if the SD fills up quickly, the G-Sensor may be automatically protecting videos when you drive over speed bumps or turn sharp corners. If this is the case, you could reduce the sensitivity of the G-Sensor. Hi. 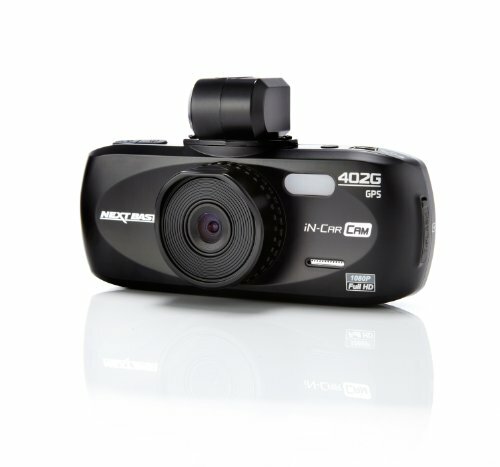 I’ve got one of these Dash cams (very pleased with it) and i’ve just purchased a 64GB micro sd card for it. The cam is saying a card error and not recognizing it. The suppliers of the card say the dash cam might not be able to support a 64GB card, is this right and is there a limit? Hi Lee. Sorry but I think this dash cam only supports Micro SD cards up to 32GB. You might be able to return the card depending on where you bought it. Many thanks for the reply that was really kind of you to respond so quickly, I’ll change the SD card for a 33GB one.